Is It Good To Rely On Your Dog For Your Home Security? This is an important question that every homeowner should ask. Your dog is a member of your family, a beloved and treasured member. Is it really a good idea to allow him to be your only means of keeping your home secure? The short answer is no. Security systems, safes and alarms are much more reliable, do not need to take sick days, and not likely to be at risk from an intruder. Your dog, as a living being, can be subject to illness and is very vulnerable if an intruder enters your home. Of course dogs with loud and intimidating barks can be very good deterrents and dissuade someone from entering your home uninvited. But training your dog, who has come to you for his own needs for security, cuddles, and food, to be the sole source of security for your family and your home, is simply foolhardy. A family dog cannot be relied upon to keep your family safe. Yes, dogs have been known for their heroism in fire and with burglaries, but it isn’t wise to put that kind of responsibility on your pet. He may herald an intruder, but he alone cannot stop one. And often training a dog for security only, robs that animal of the connection to his humans and their affection. It also robs the humans the joy of having a pet in the first place. Security systems that are made to contact the police or fire department, are easier for neighbors to hear and respond to than your dog. A dog barking is not something unusual, and not necessarily a red flag to them. But a loud alarm, the kind that comes with a home security system definitely gets everyone’s attention and puts people into survival mode which may save their lives. And finally, often when people with dogs leave the home, they gate off an area of the house to keep the animal safe and less likely to leave unwanted messes around the home. Even guard dogs that may be left outside during the day, are usually leashed to keep them in one area of the yard. This leaves other parts of the house as easily accessible to an intruder. Even if your dog is a barking deterrent or alert system, it is not best to entrust your family’s and home’s safety only to your pet. Allow your dog to be your pet and cherished family member. You both will enjoy each other so much more. If you are looking for a new and innovative way to hide your valuables, you can try using a diversion safe. These safes are so innocent that they can be placed in plain sight. Nobody but you will know that there is a safe just sitting in your pantry or bookshelves. There are oil cans, fruit cans, flower pots, lotion bottles, and more. They are all household products that are present in every home. You will never know that they are a security safe because they look and feel like the products they represent. There is even a stone safe so you can even place your valuables in your garden. Burglars won’t bother looking in pantries or bathrooms for possible locations of safes. 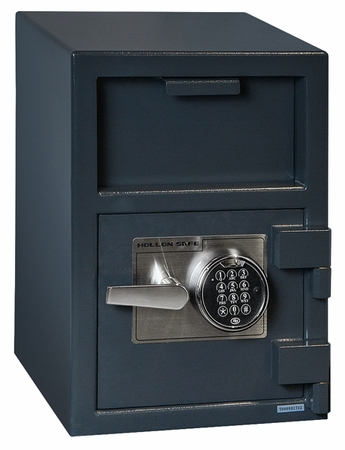 Diversion safes are really great ways to secure your valuables. A recent study shows that most burglars have less than 10 minutes to spend inside your home. They want to be in and out of your home as quick as possible. So it’s only logical that they take the most obvious valuables instead of wasting their time hunting around for more stuff to steal. This is why a drop safe are the perfect hiding places for your valuables. Since a drop safe can be hidden underground, the thief will never know were it’s hiding. Great idea, isn’t it? The burglars will not waste time trying to hide a hidden safe. It won’t deter burglars from breaking in, but at least your most precious valuables will be safe. For as long as there have been people there have been thefts. People covet what they do not have, and some of them will act on those feelings. So, as people we have to protect our property. In the past people generally kept their valuables locked in vaults or sea chests. In the 1800’s we began using more modern safes. These safes were called iron chests. They did a good job protecting your property because they were heavy enough that burglars could not easily make off with them. Burglars would essentially try to take them to a safer place to crack them. They were also made out of heavy materials, stone, wood, cement and brick to name a few. Today people are not so trusting in banks anymore. Some people feel that having your money at home is a safer option. Back in the day people would stash their money under the mattress. Some people would go as far as even burring their money in the ground.